There’s something special about the grain of natural wood that gives a warmth and groundedness to parties and events—from romantic picnics in the park to wedding receptions and galas. 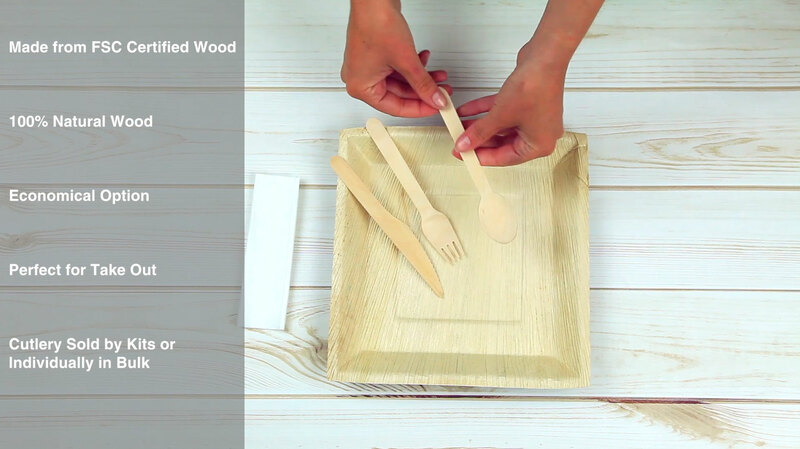 With our disposable wooden spoons, enjoy the elegance of wood along with the convenience of disposables—knowing that these attractive utensils will decompose readily once they’re thrown out. Ideal for cold and hot dishes, our full-sized 6.2-inch disposable wooden spoons are a must-have for any eco-event. These top-quality utensils are made to withstand normal usage without breaking or snapping—a fact that is sure to delight your guests and make your event a success! Complete the table setting with our full range of elegant wooden utensils and modern biodegradable plates and bowls for a chic ambiance that’s easy on the environment. At Bio and Chic, we have everything you need for events small and large—including biodegradable single-use tableware, recyclable food containers, and high-quality reusable serving dishes made from natural materials. All of our products are not only green but also feature a modern design. Shop our sturdy disposable wooden spoons and utensils for your next catering event today!